A Clown fish in the security of its anemone. 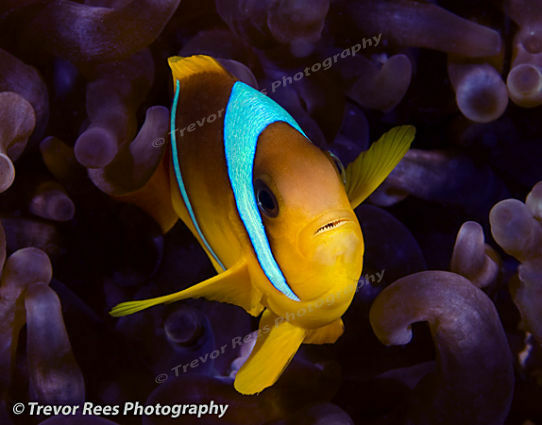 The most common clown fish in the Red sea and sometimes called the two banded clown fish. The obligatory shot to be taken when diving on a coral reef.